The United States indicted Chinese hackers while its allies condemned cyber thefts. The moves, like the recent detention of Huawei’s CFO, are ostensibly separate from trade talks, but Beijing won’t see it that way. The Trump administration may have to choose its priority target. 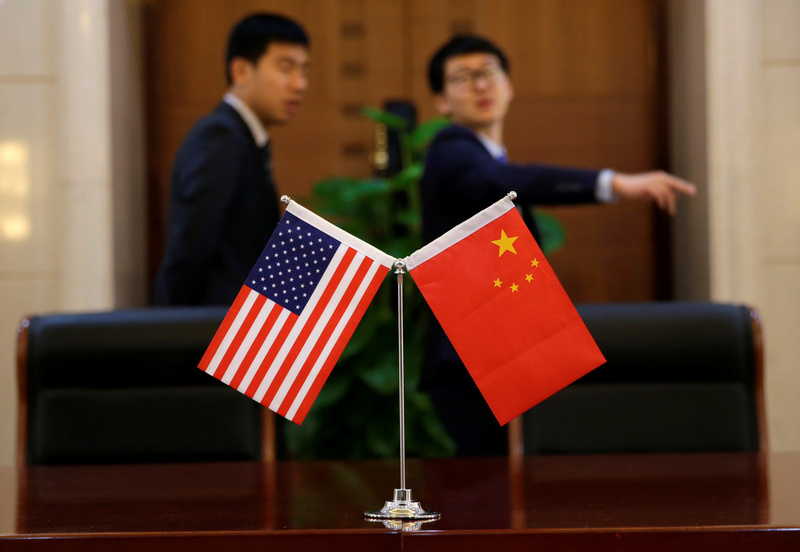 Chinese and U.S. flags are set up for a signing ceremony during a visit by U.S. Secretary of Transportation Elaine Chao at China's Ministry of Transport in Beijing, China April 27, 2018. Two Chinese nationals connected to the Chinese Ministry of State Security were indicted for stealing technology and data from more than 45 entities in 12 U.S. states, the U.S. Justice Department said on Dec. 20. Companies that were targeted are involved in the aviation industry, space, satellites, pharmaceuticals, oil and gas, and financial services. Deputy Attorney General Rod Rosenstein said part of the campaign involved accessing managed-services providers, which remotely manage a client’s IT infrastructure, and customers in France, Germany, Japan and Canada were among those affected. The hackers also allegedly stole confidential data from the U.S. Navy, including personal information of more than 100,000 personnel. Two facilities of the National Aeronautics and Space Administration and the Energy Department’s Lawrence Berkley National Laboratory were also targeted. “This is outright cheating and theft, and it gives China an unfair advantage at the expense of law-abiding businesses and countries,” Rosenstein said.